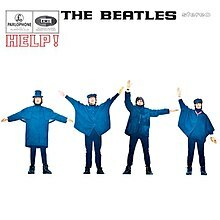 While I am rating The Beatles albums it occurred to me to rate The Beatles album covers. Most of their covers are spectacular with one a few exceptions. It is as hard to rate the album covers I am finding out as it is to rate the music. The ones I ranted are the 13 UK studio albums. The Beatles album covers were as fine as the music they contained. Odd but their four best album- in my opinion are also the four best album covers- maybe not in the exact order. #13- Let It Be- Four separate photos of each of The Beatles- the end had come. 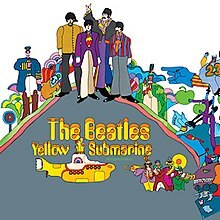 #12- Yellow Submarine- colorful – drawing of The Beatles created by Heinz Edelman for the animated movie. #11- Magical Mystery Tour- never cared for the album cover- but loved the 24 page booklet that came inside. #10- Help! The Beatles spelling out NUJV in flag semaphore. 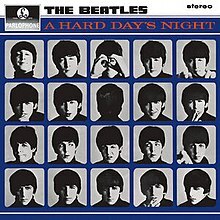 #9 A Hard Day’s Night- Just different pose’s of the individual Beatles. I always liked this cover. 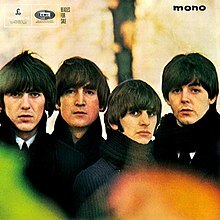 #8-The Beatles For Sale- The boys look so tired- great photo though. 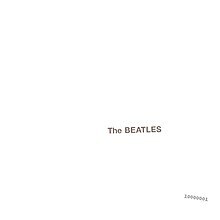 #7 THE BEATLES AKA THE WHITE ALBUM- An album cover- all white with The Beatles printed very small. No photo. As simple as Sgt. Pepper was extravagant. 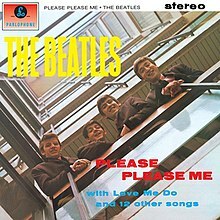 #6- PLEASE PLEASE ME- Angus McBean took the photograph of The Beatles looking down from the stairwell at EMI Headquarters in Manchester Square. The stairwell is now gone. 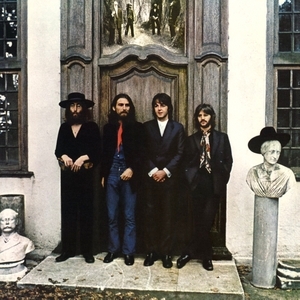 The recreated the photo in 1969 for the Get Back project- the 1969 photo was used for the greatest hits- blue album. #5- With The Beatles- Bob Freeman took the photograph in the corridor at the Palace Court Hotel in Bournemouth. Ringo is down in the corner because he was the last to join and the shortest. 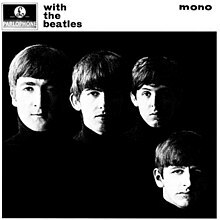 Record executives wanted to reject the cover because The Beatles weren’t smiling. George Martin saved the day. #4- Rubber Soul- photographer Bob Freeman took the photograph in the garden at John Lennon’s house. As far out as the album. #3-Revolver- created by The Beatles old friend from their Hamburg days- Klaus Voorman. I spent hours listening to the album and looking at this album cover. 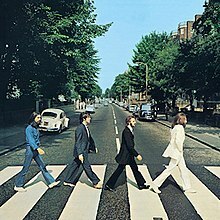 #2- Abbey Road – – The only Beatles album cover that you can visit- and walk across the street like The Beatles did. It was fun- but watch the traffic. it is an active street. #1- Sgt. 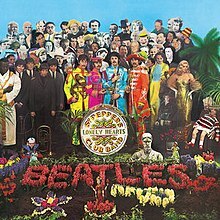 Pepper’s Lonely Hearts Club Band- The album cover as art. Greatest and most famous album cover ever. Sgt Pepper would be the top for obvious reasons… for some reason, Rubber Soul is my favorite cover. I love the Bubble lettering and the blast of green with the picture. It’s a very clean design. 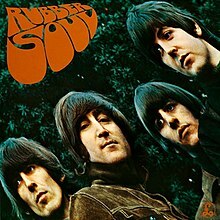 Another thing I like about Rubber Soul’s cover- the name Beatles isn’t on it- no need for it to be! The one Beatles cover that was awful- cheap looking and seemed to have nothing to do with The Beatles era was the Rock N Roll compilation cover. That one was terrible. It’s like Capital forgot the era they were in…It just didn’t fit. Good compilation but terrible cover. Nothing beat the Red and Blue. I guess the American Graffiti and Happy Days were popular at the time and Capital thought they would further cash in… oops there were no Beatles at that time boys- at least as far as the world knew! And it was a cheap looking cover too boot.. yes the Red and Blue were attractive packages! lyrics included..
That was a great idea for them to have their pictures taken at the same place. 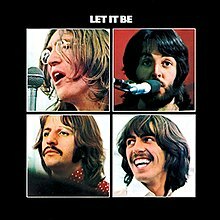 Wasn’t that going to be the Let It Be cover? I think it was Lennon’s idea. I could be wrong. I remember reading about that- when the original picture was taken someone asked something like “How long will the group last’ and John said “Six years, no one will care to see a bald Beatle.” He was about right on the years..
Just not the reason… He claimed it was because he turned 30 but I don’t see that had anything to do with it. I am usually a studio guy and only some live albums I like…but I have to include Live at Leeds…I just have to. With The Who I would include Leeds also- a major album not something to release to take up time or make money but a great album. It is the tightest I have ever heard a band play together. Have you read Pete’s autobiography? I have it- but I haven’t read it yet- good? I liked it. Its been a couple of years…I’ve been meaning to go through it again. I didn’t realize he drank so much and fooled around so much. Yea I know…he was rock star in the 70s-80s…He kept up with Moon on some things. The anniversary of the Lennon divorce is nearing- I was reading up- Cynthia saying she had no reason to think John hadn’t been faithful to her during their marriage. Her eyes must have been closed. Glued shut. I always liked Cynthia but jeez…he was a Beatle with every woman in the world interested. Ok not every woman…but a large percentage. I read her last book and I was embarrassed for her when she came home and there was Yoko in her clothes. That was just terrible. I always had the feeling that Yoko stayed a little jealous of her. Maybe May Pang said that. She didn’t want them associating with each other. It seems Frank could do as he wanted. I guess she wanted to hang on to that…speaking of Frank…I saw a couple of Tony Rome movies this past winter. I really enjoyed them. I’ve never known much about him except reputation. I need to read about him. He seemed menacing in a way. I guess its because of the supposed mafia ties. She is self centered that is for sure. No one matters but her. I read where she was quoted that she didn’t understand why Paul talked to John in LA about getting back with her…It’s called being selfless in that case. She didn’t get it because she knew Paul would have liked to write with John again and he knew that would not happen with Yoko around…but he knew John loved her. That was Paul being a friend. That is a great story- and I agree- Yoko views herself #1 #2 -she is out for herself always! She would have never done something like that in a similar situation- it wouldn’t have crossed her mind. If I find where I read that I will send a link to you. It was very revealing on how she was…and probably still is. That was unselfish from Paul. Sargent Peppers Cover is in a class all by itself. 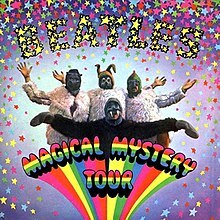 I’m also drawn to Magical Mystery Tour. What does NUJV stand for? Nothing it was an error.